In our whitepaper “Measure and Create Social Impact,” NTC founder Ward Eames discusses the importance of obtaining measurable results for community outreach programs – and ensuring that those results are as effective as possible. Since 1978, NTC has been bringing some of the most creative and impactful educational programming to schools throughout the country. In this latest whitepaper, NTC founder Ward Eames relays lessons he’s learned over the last four decades about measuring and evaluating ROI. 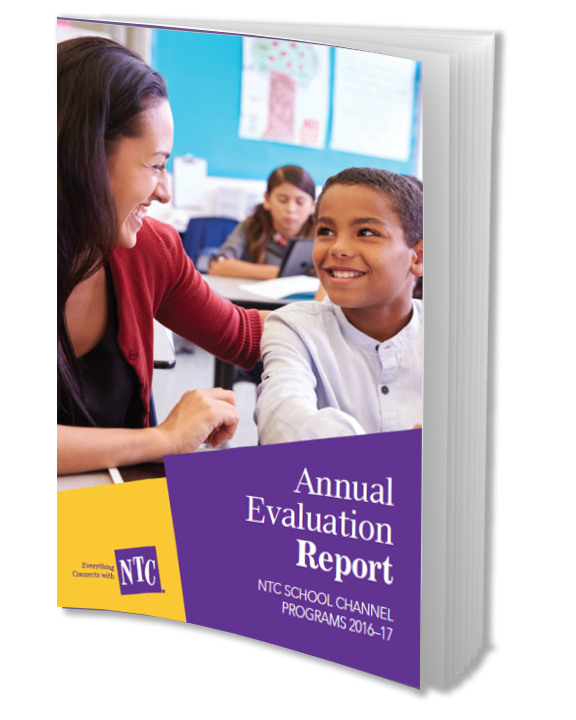 The measurable results tabulated over that time have proven invaluable to our clients in evaluating the success of their programs and have also presented clear and beneficial lessons about the efficacy of K-12 program – many of which are outlines here. It’s become clear that organizations interested in STEM education rely on community outreach to inspire innovators, develop the workforce, engage communities and increase awareness about new developments. Consensus about the exact methods for evaluating and ensuring the success of those outreach programs has not yet been reached. We hope our newest whitepaper provides an overview to delivering the most effective ways to measure and evaluate educational programs in the STEM disciplines.